That’s the good thing about summer, you always find some fresh fruits around. It’s been a while since I tried to make a clafoutis but, here it is, quick to make, fresh and perfect when you have a sweet tooth. For this one I used a pound of cherries, but you can use as many as you want. Heck you can even make some fruit combinations. Traditionally the pits are not removed from the cherries, but I spent too much money on my teeth to risk it anyway so I got rid of them (not the teeth!). 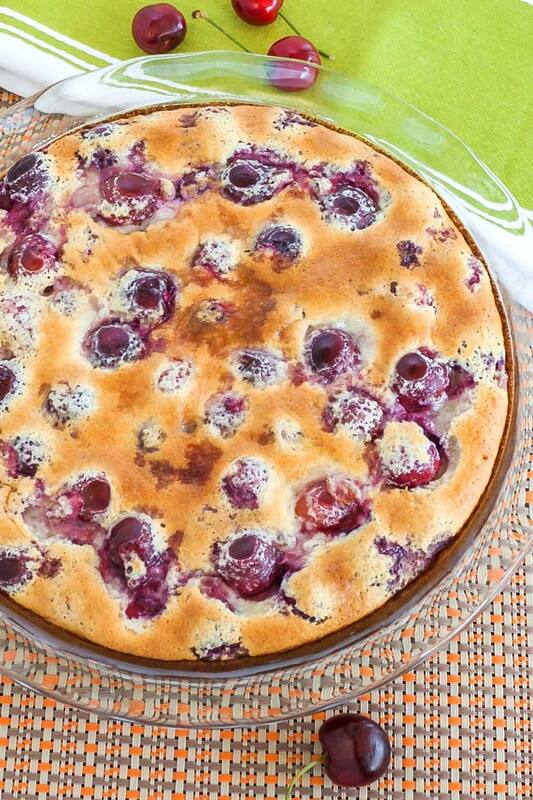 Preheat your oven to 375° C / 190° C. Butter a 9″ (22cm) pie dish well and then put the cherries in it. In a small pot, boil the half and half, add the vanilla extract to it then set it aside. In a different… something, mix the flour and salt while in the bowl of your mixer crack the eggs. Add the sugar to the eggs and beat them until they beg for mercy… or when it starts thickening and the batter is a pale yellow colour. Slowly add the flour mixture and continue the “beating”, add ⅓ at a time. Next add the hot half and half with vanilla to the mixer and give it a swirl. 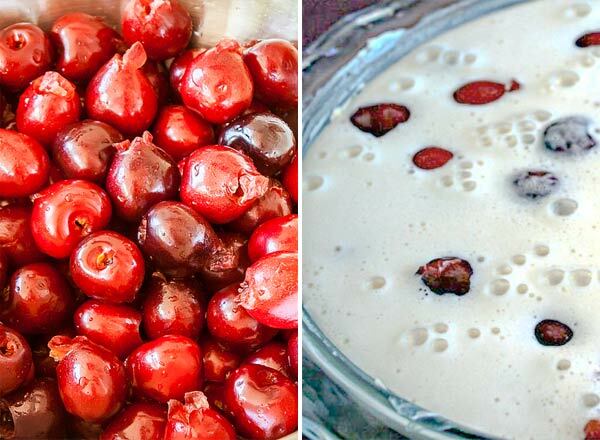 Pour the batter over the cherries. Bake for about 45 minutes or until golden brown and the center is cooked through. Boil the half and half cream, add the vanilla to it and set it aside. In a small bowl mix the flour and salt together. In the bowl of your mixer, add the 4 eggs and sugar and beat well until it thickens and the batter is a pale yellow. Slowly add the flour to the batter and continue mixing. Add the half and half mixture and swirl well. Pour the batter over the cherries and bake for about 45 minutes or until golden brown and the center is cooked through. Sprinkle with powdered sugar if preferred.